There was no backing out of it. I had said I’d do it, I was committed, but that didn’t mean I had to like it. The itinerary I’d been sent the week before had listed ‘bicycle ride’ on Day Two… which had seemed easy enough at the time. 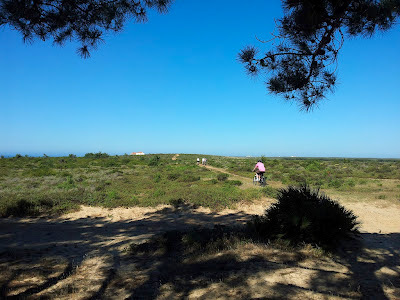 But as I straddled the mountain bike shortly after breakfast, it took mere seconds to discover that certain parts of my body were not happy about the departure from the normal routine, which involved sitting in front of a computer or walking a golf course. “Put this on,” Manuel said, passing me a helmet. Great, I thought, the pain of mountain-biking combined with the humiliation of helmet-hair. 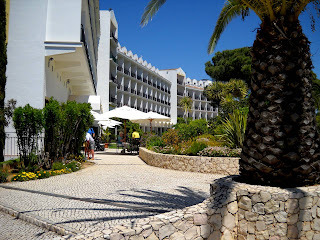 Five star luxury it might be at the Martinhal Beach Resort and Hotel, but a bike seat is a bike seat, and when one hasn’t met your backside in eons it is bound to be an uncomfortable encounter. The six of us set off behind the tall and fit Manuel, and by my estimation not one of us had been on a bike in over a decade. As he rode with ease and grace, we fumbled and stumbled our way through the gears, over rocky terrain, through sand and into bushes. He took us up through the nature reserve that surrounds the hotel, giving the resort a wonderful tranquil air. 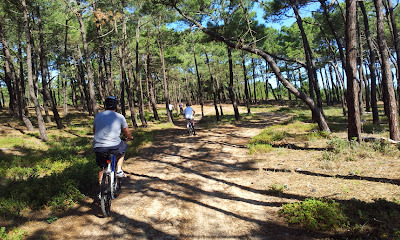 First we went through the pine forest and then on to the exposed landscape that stretched into the distance. As with any holiday, what you choose to do is up to you, but on this occasion the itinerary was set by someone else. Dermot, from Destination Golf, had invited me to experience the joys of Martinhal and I had accepted willingly. 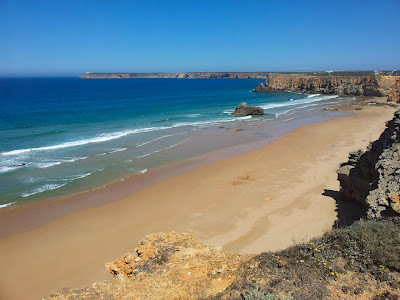 What does a 6am flight matter when you’re headed to the beauty of Portugal, all thanks to Martinhal, and Aer Lingus who had accommodated us on their early morning flight. Still, as my bike ricocheted off a large rock and forced me towards a large crevasse, I wasn’t thanking anyone. Yes, it’s a beautiful, peaceful spot, but only if you avoid the six white Irishmen making royal asses of themselves on bikes that no one over the age of 30 should be allowed anywhere near. On the horizon lay our destination – the lighthouse at Cape St. Vincent, but no matter how hard we pedalled, the lighthouse never seemed to get closer…. until suddenly we were there, passing small stalls selling trinkets and rugs, and camper vans discharging yawning, stretching passengers, talking in different languages. The furthest south west tip of Europe this might be, but tourists were still drawn to this enchantingly peaceful spot. The bright red dome contrasted against the startling blue of the sky and the white walls that surrounded the courtyard. We strolled from one side to the other, looking down from the cliffs into the Atlantic below. On one side you can stare north, on the other you peer east. Karl, one of our group, forked out for some well-earned ice creams. They soothed our over-heated muscles, but not for long as Manuel drove us out and back onto our bikes for the return journey. 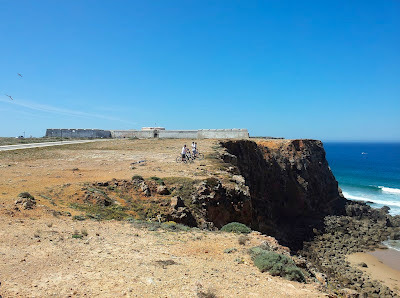 This time he took us along the coast, into the ruins of Beliche Fort, and then on to show off some of the area’s beautiful beaches. 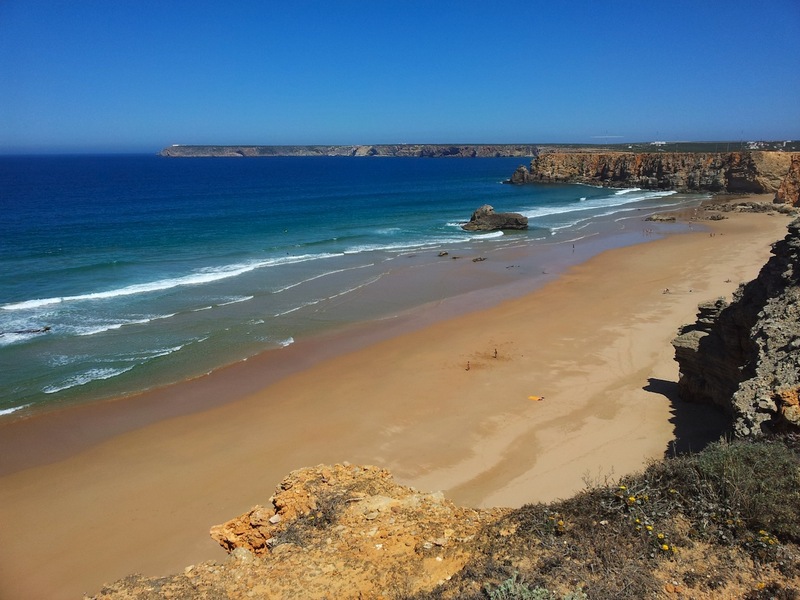 The pick has to be Donel beach, cocooned by tall cliffs of dark rock, with smooth, velvet sand stretching for almost half a mile towards the headland of Sagres, upon which sits the Fortaleza de Sagres. The Fortaleza and Cape St. Vincent provide the area with something of an aura that puts Sagres firmly on the world map. And it’s all thanks to Prince Henry the Navigator who built his famous School of Navigation here, in the 15th century. 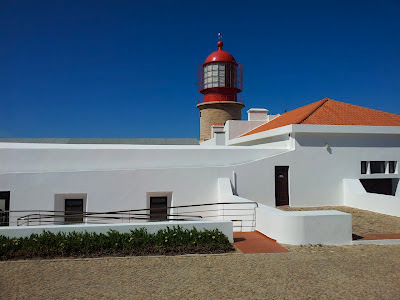 Great mariners, astronomers and cartographers came here willingly during the Age of Discovery to build the ships that sailed the globe and established Portugal as a colonial power. It has left a legacy that is part of the fabric of countries as far away as East Timor and Brazil, and will be for many generations to come. 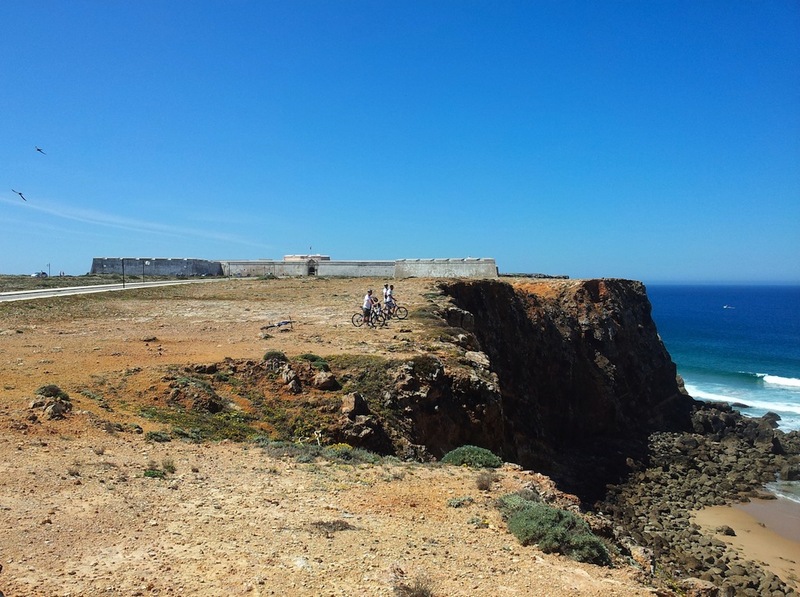 We stopped by the fort, dropped our bikes and ventured as close to the edge of the cliffs as we dared. The beach had a mere dozen people strewn across the sand as the waves rolled in. The area is a popular surfing spot, depending on the tides, but today it was the sun-lovers who had it to themselves – the surfers were off at one of the other 20 beaches. 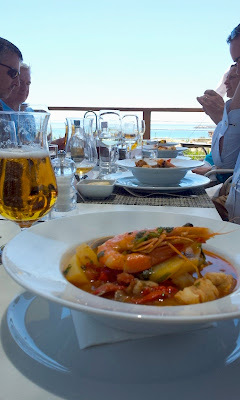 After another perfect lunch at As Dunas – I was seriously falling for the Sagres beer – it went with the fish dishes like a charm, especially the calamari. I love my food and while fish has never been a big favourite of mine, I was rapidly becoming a convert. Sitting on the deck, beneath the parasols, looking out to sea – it was one of those ‘where else would you rather be?’ moments. I have to confess that after a week in Madrid last year, when I was disappointed by the Spanish cuisine, I hadn’t been expecting too much of the Portuguese fayre. But I had underestimated Martinhal. The food at As Dunas is exceptional – fresh fish prepared the Portuguese way (Cataplana is a local speciality) and food is always enhanced by the joy of al fresco dining. And then, finally, it was off to a golf course. There’s only so much luxury a person can take before wanting to hit something. 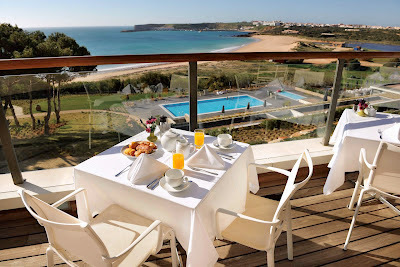 Le Meridien Penina Golf Resort is outside Lagos, about 45 minutes east of Martinhal. 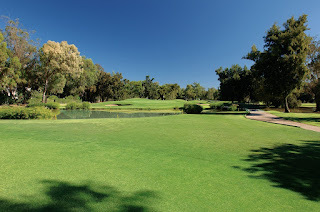 There are golf courses closer to the hotel (Boavista, for example), but Penina has a proud reputation, hosting the Portuguese Open on ten occasions. It is a flat course that flows gently back and forth between lines of trees that all too often squeeze you. It is not enthralling by today’s lofty standards, but Penina is the grand dame of Algarve courses with subtle design that harks back to the days of Sir Henry Cotton. This was the Algarve’s first course and it remains a favourite, tucked away behind a tall, white hotel that has recently been refurbished. 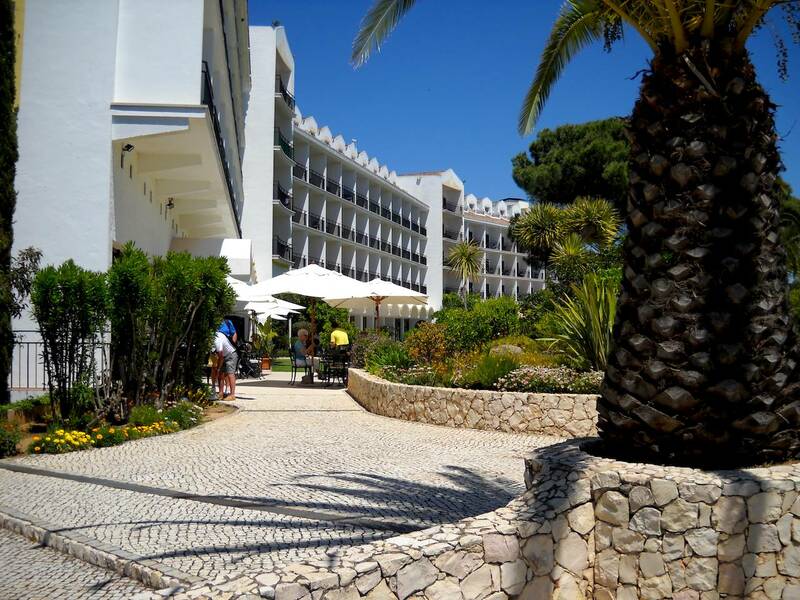 And it is not only the hotel that has seen a face lift – the practice facilities have been upgraded substantially and now claim to be among the best in the Algarve. I’m not sure why we turned down the buggies that were offered when we arrived – presumably most of us felt that to experience a golf course fully you have to walk it. Charlie had no such qualms and happily slid behind the wheel while the rest of us floundered in the 30 degree heat. I liked Penina’s easy charm and elegance. The trees gave it a dignity that matched the course’s age, while the water added several thrills, notably on the back nine. 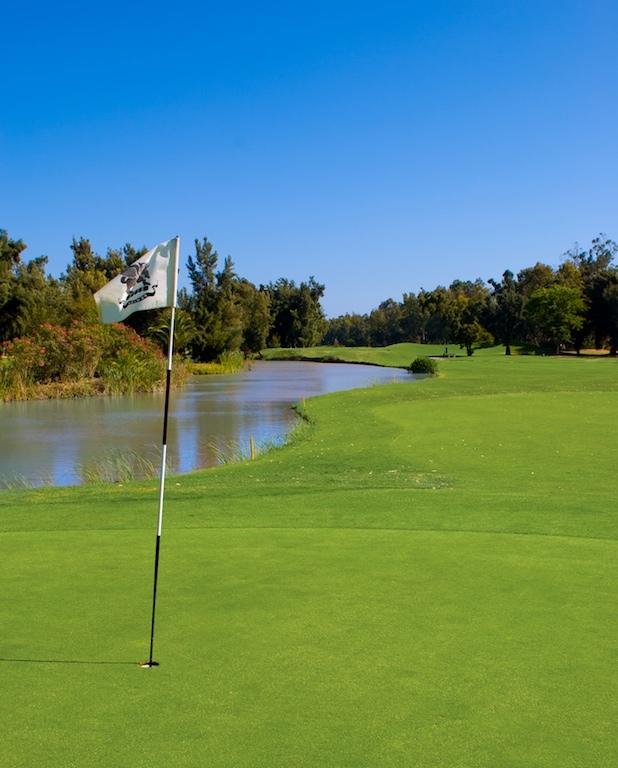 A sign by the par three 13th proclaims that the hole was voted one of the best 500 holes in the world in 2005 – although it failed to say whereabouts it ranked in that 500. It is a long par three, over water all the way, and myself and Ed both found the wet stuff, while Karl took the easy route, laid up and narrowly missed his par. I was disappointed to lose the ball as it had served me well on the previous hole, the Index 1 par four, where I hit my drive 360 yards (we measured it using Ed’s watch. Don’t ask!). A trick if you’re ever over that way – hit your drive onto the buggy tarmac path and watch it bounce all the way to the green. On our return, everyone headed to their rooms for a well-earned shower before making the short trip through the resort to restaurant number three. 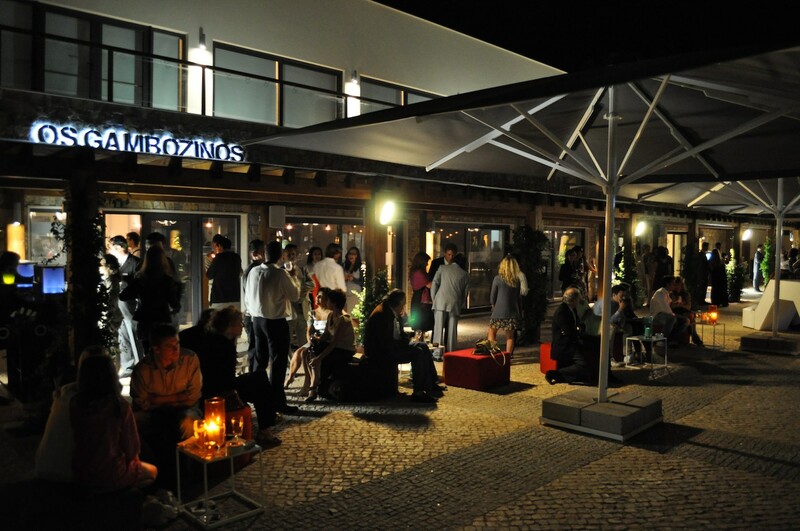 Os Gambozinos is the family-style restaurant, serving the staples of holiday food like pizzas, pastas and burgers, as well as a variety of Portuguese dishes. 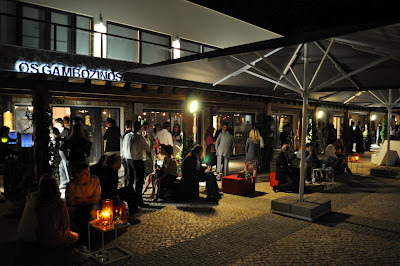 It is relaxed and fun, and the restaurant is located in the resort’s village square. 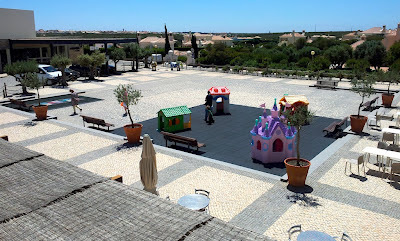 Here you’ll find the Kids Clubs, a small supermarket and a clothes shop – just in case you’ve forgotten that essential item, such as swimming trunks. One of the five pools is located up some steps, with a small gym alongside. 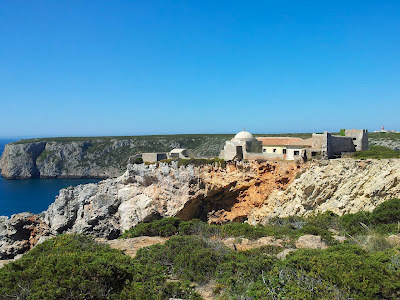 It only serves to emphasise that while you can go off and explore the surrounding countryside, it is far too easy to find yourself wrapped up in everything Martinhal has to offer. And the Kids Clubs just make that so much easier if you so choose. You can leave your kids (aged 6 months to 18 years) in one of the five clubs (age dependent, obviously) where they will be looked after, fed and entertained for up to six hours a day by professionally qualified staff – there’s a babysitting service too – leaving you and your partner to check out the pools, the sports facilities, the nature reserve, the dolphin watching trip, the pilates on the beach, the watersports centre and, of course, the restaurants - each of which has play areas alongside. 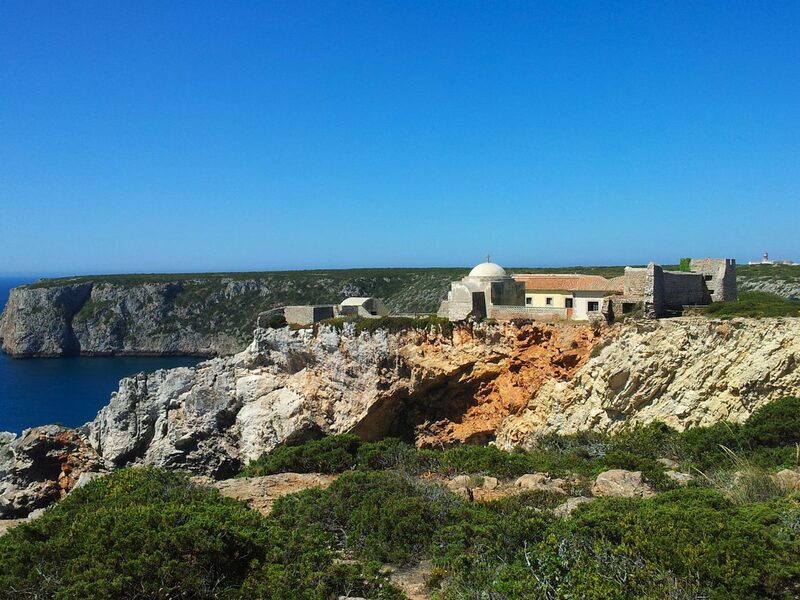 Martinhal is built on the site of a previous hotel, called Os Gambozinos, which was – how shall we put this – past its best. That’s not a charge that will be laid against Martinhal any time soon. Everything is new and pristine (apart from some of the trees which were rather cherished), and you won’t fail but to be impressed. At the end of our meal, our hosts tempted us to venture into Sagres. They wanted to take us on a ‘pub-crawl’ – although I suspect they had no idea what an Irish pub crawl entailed – but we ended up staying in the one bar all night. It was quite a funky place for such a quiet, laid back village and the beer was cold. Why move? We left shortly after 1am, with only one of our hosts still with us – the others had slipped away during the evening, unable to keep up or overwhelmed by the DJ banging out an assortment of 1980s hits last heard in, well, the 1980s. Still, I suspect we all went to bed humming one of the night’s tunes… Kajagoogoo, perhaps. Enniscrone - An End to the Starter Debate?